To make the most of the Eclipse Gateway.. Make it a priority to tune into your heart, and drop into the silence and stillness within. Be ready to adapt to changes, and be open to change, tackle the challenges on your path and put in the work necessary to achieve your authentic goals and dreams. The eclipse gateway will urge, support, and push you to grow spiritually, personally and to connect with your light, and your authentic self. The eclipse gateway can be filled with the magical and rewarding energy of synchronicity, joy, creativity, and abundance. How willing are you to release the patterns, beliefs, and thoughts that limit and no longer serve you? These energies will be felt as challenging and harsh or light and love filled depending on how you respond and react. Choose love. Love yourself, love life, and respond to every challenge and situation with love. With the power of love on your side, anything is possible for you in your life. One in which there continue to be new waves of light streaming onto the planet. Gateways opening, DNA-Activating, hearts opening and more and more people “waking up” to the reality of the powerful period of ascension we're living through. All have an underlying higher purpose. The Eclipse gateway is triggering a wave of light, frequency, and awakening to elevate the vibration of Humanity and Earth which is such a beautiful thing. … But these “light waves” also tend to stir things up. Create some space for what you want to see manifest spiritually and in your physical life. In other words, if you haven't worn it… Donate it! If it doesn't uplift you… Let it go! Take the time to meditate, recharge, vibe up, and align your mind and entire being with the vibrational frequency of what you really want to see in your life and on a global scale. This wave of light energy will reach its peak during the Eclipse on August 21st. And with conscious intention, you're able to use this time band to align with a higher vibrational timeline of light. But you have to choose it… You have to consciously and vibrationally align with. So what will this look like for you? What are you open for and willing to receive? What are you becoming a vibrational match with? True abundance? Radiant Love? Waves of peace, light, and bliss for all beings? Greater alignment with your authentic truth and highest light? Every moment is your opportunity to choose wisely. To choose love, and to vibrationally lift. So if you slip into lower energies… Reset! If you stumble… Get back up! Remember that we're all in this together and you have access to so much incredible support that is available. And let yourself fully shine with the brilliance of the radiant inner light you carry within. SO many are asking what else they can do to make the most of the Eclipse gateway and this huge opportunity to reset as individuals and humanity into a new reality for Earth. Choose love, kindness, and compassion. Hold the intention and the positive focus and vibration for yourself (and the Earth) to move into a new state of peace, balance and happiness. Spend time in nature. Meditate. Keep love and joy in your field, and return to a coherent state of love. Returning to coherence is key. In addition, I've channeled a new Gateway of Light series with the Council of Light to support you in making the most of this powerful time. Gateway of Light Eclipse Activations with the Council of Light! P.S. 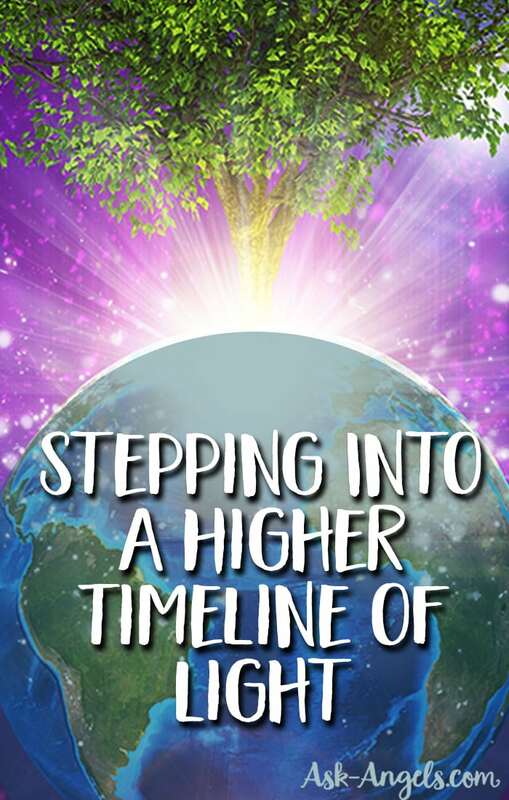 If you'd like more support, know that you can access all the latest channeled angel messages, and video webinars I put out inside the Angel Solution Membership.